The HS was the next item up. It has a forward and rear spar. They each hang over the ends of the 8’ table so they must be +9’ or so long. They are made out of .063” stock so they are very sturdy. Even so both of them require thick doublers out of plate stock. 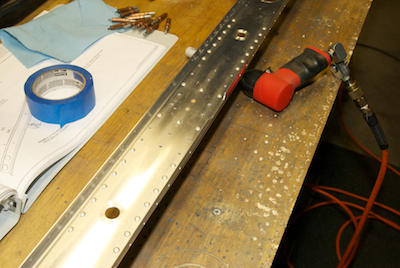 The first piece shown below is the rear spar and I am attaching the doubler plate. 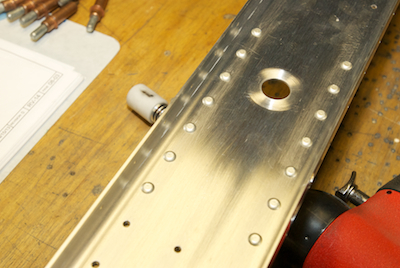 Most of these rivets are round headed rivets, but even so, just like on my Sonex wing spar, they can be back riveted. I would have preferred to squeeze them, but because the round head was on the flange side, you can’t reach them with the squeezer. 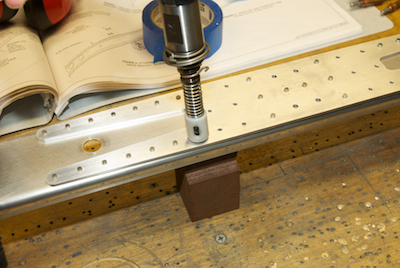 Of course all of these pieces needed to have the raw machined edges filed smooth and Kathy did a lot of that work. 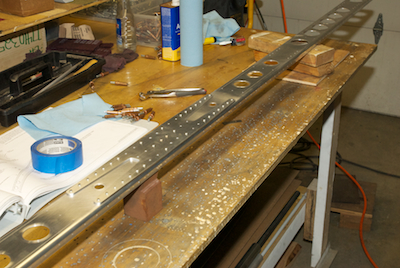 She did the doublers for both spars while I was working on the rudder and did one of the spars edges. She is getting good with the vixen file and I think I won’t be doing very much vixen file work for the rest of the build as she has gotten more confident doing this work.